For years, leading nonprofits have relied on Zuri Group and Engaging Networks to deliver highly-customized tools and services to meet their needs. 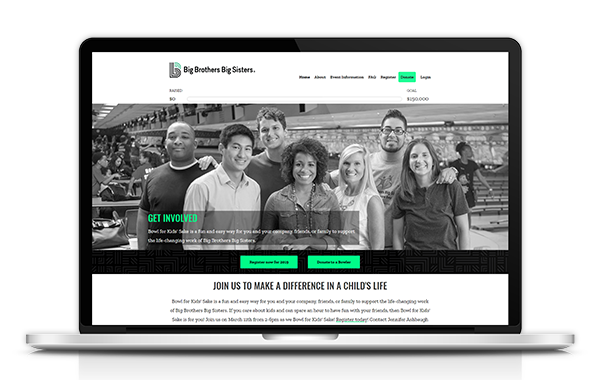 Now, we’ve joined forces to provide Big Brothers Big Sisters affiliates with an end-to-end solution for digital presence, online event fundraising, and donor stewardship at a fraction of the cost of comparable platforms. The technology is in-line with Big Brothers Big Sisters’ strategic technology plan, and Zuri Group looks forward to continuing our long relationship with BBBS for years to come. ZEN packages also include online donor management, email templates, and fundraising solutions at the lowest annual cost to affiliates of any of the approved vendors. 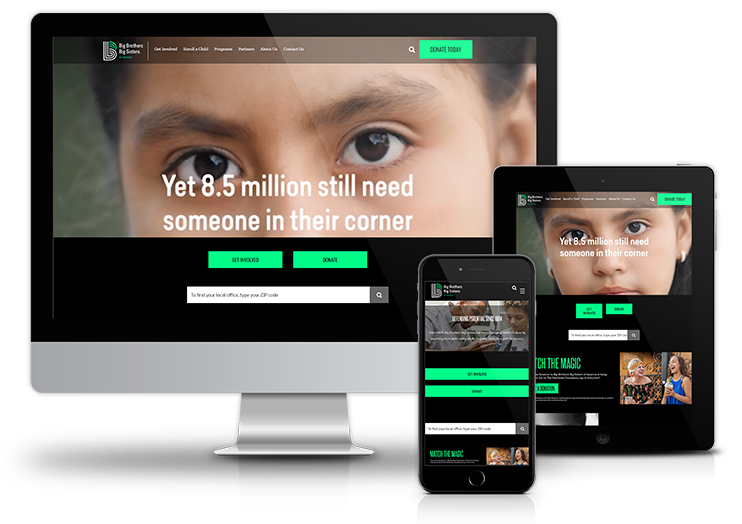 ZEN is the only BBBSA approved online fundraising platform that includes a fully responsive, rebranded website. Agencies that sign up for any of the ZEN Solutions packages will receive all the templates in the current rebranding solution. When Barkley provides the new digital guidelines, affiliates on the ZEN Package will have the option to migrate to templates based on these new guidelines at no additional cost! Even if you’re using a different platform for your website or fundraising site, our team of expert developers are available to help make branding updates. Our peer-to-peer site is easy for staff to manage, and fundraisers love it because they can personalize their page. Zuri Group was very helpful and we look forward to working with them again in the future! We are very excited to use our new mobile optimized website and BFKS fundraising site. We love the mobile-friendly design of the ZEN platform because it enables visitors to quickly find the information they need – whether it’s making a donation, registering for an event, or completing a volunteer application. Our responsive, custom WordPress themes are flexible, easy to use and easy to maintain– allowing you to easily edit content, and customize the look and feel of your websites. Our responsive, custom Engaging Networks themes for your donation pages, ticketed events, and peer-to-peer fundraising events provide a cohesive look across your sites while still affording you the flexibility to customize content. Because of the flexibility of our code, new rebranding design elements are easily integrated– dramatically changing the look and feel of your sites, while keeping costs down. Our custom Engaging Networks themes don’t just look great– they also feature tools that were built with BFKS events in mind. These features were designed with extensive input from the National office and affiliates, and distinguish ZEN from other platforms. ​​​​​We are honored to help Big Brothers Big Sisters of America defend the potential of Littles in communities all across the country. Could your organization use some ZEN? Find out how Zuri Group can help you take your online engagement to the next level!